It all started with a short e-mail exchange. Asked about the future car, an unnamed representative from an American automaker called the idea ridiculous. By 2050, we’ll all be living on another planet flying around in jetpacks, he joked. Cars might not even exist. Yet, as everyone who studies technology knows, there are fits and starts, major milestones and minor setbacks, on the road to the future. Alan Keys said the only way to predict the future is to invent it, and invention requires a massive R&D budget. Sure, thirty-eight years is a long time. No one could have predicted the iPhone back in the mid-70s, with apps that show a pop-up display using augmented reality or easy access to every song on Spotify. Yet, in predicting the future car, there is also a long history of things staying the same: the combustible engine, seat belts that work about the same way as they have for decades, four tires and a steering wheel. 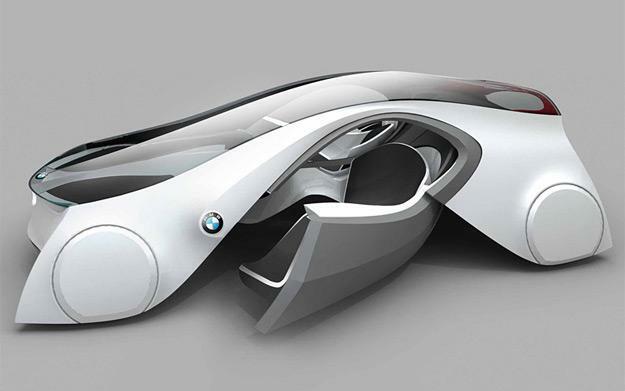 The future car of 2050 may still operate about the same way as it does today. To predict what might happen over the next three decades, Digital Trends asked well-known auto analysts, futurists, and other experts to offer their opinion on what the car in your garage might look like (and do) in 2050. We already know that Google has tested autonomous vehicles in northern California. In a widely reported incident, one of the Toyota Priuses was actually in a fender bender, although Google claims the car was being driven by a human at the time. The idea makes perfect sense, though: The computer in a car can react faster and use more diagnostic data than a human ever could. When a deer jumps out on the road, a Lexus GX 460 can use powerful forward-facing sensors to track the object, scan to see if you are paying attention (based on the angle of your face and by tracking your eyes and mouth), alert you with a chime, and even brake automatically in a split second – much faster than a human could. Thilo Koslowski, an automotive analyst at Gartner, says the next stepis for the car to not just drive autonomously, but to think autonomously. For example, when you go out on a date with your wife to sample some wine, the car will drop you off, park itself, and wait for you to signal that you are done. The car might track how long you were sampling the wine, and might even perform a quick analysis of your breathing and speech as you re-enter the vehicle to find out if you are inebriated. Yet, because every road will be equipped with wireless communication sensors, and every other car will be communicating its exact GPS location, and LIDAR (Light Detection And Ranging) sensors on the vehicle will constantly the vehicle for obstructions, you can sit back and relax while the car drives. 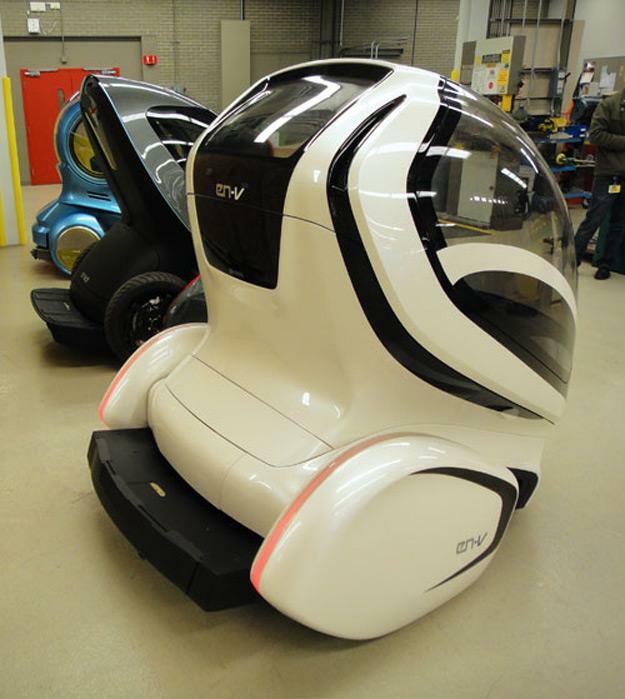 This concept was already demonstrated by GM with the EN-V concept car last year. Koslowski says the autonomous car will be so efficient and safe that insurance companies will have to invent new policies for them – covering only natural disasters that cause unforeseen damage, not collisions. Koslowski also says the autonomous car might end the concept of leasing and buying cars altogether. 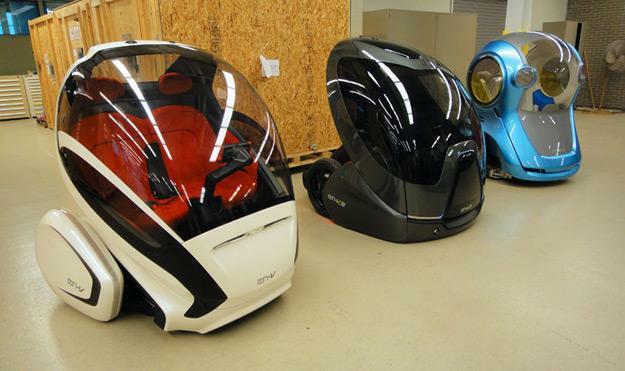 When there is a fleet of robotic cars in a city, there will be no need to own a personal car. “Real-time, location-independent access to vehicles without traditional ownership of the vehicles will redefine personal transportation to a point where buying a car will be replaced with buying a mobility solution,” he says, explaining that location-based services will be prevent, especially at vacation spots. For example, when you visit Denver, you’ll be able to “order” a vehicle to take you to a resort, or when you go to New York an urban transport vehicle might show you the hotspots. In addition to cars driving on their own, which is already showing signs of becoming a reality, the future car will also run on just about anything: solar power, pneumatic energy, even something called an ultracapacitor, which is like a souped-up battery. Louis Rosas-Guyon, a technology consultant with R-Squared Computing, says the alternative fuels will be commonplace.In fact, he says the future car will be capable of running on multiple fuel sources. Once again, we’re already seeing signs of this. Toyota has already produced a version of the Prius that uses electric power, gas, and solar panels on the roof. Granted, the photovoltaic panels only provide enough power to run the vents, but the concept is certainly possible. NASA has an ongoing research project trying to figure out how to beam energy down from solar collectors in space. There’s a notion that all cars could then collect energy from space as well, transmitted the same way. “The trick will be in converting our existing infrastructure over to servicing these new power sources. All those gas stations, service stations and every other business that exists because of the internal combustion engine will need to adapt to service these new power sources,” says Rosas-Guyon. One solution to the infrastructure problem is simply to make cars last much longer on a tank of gas. 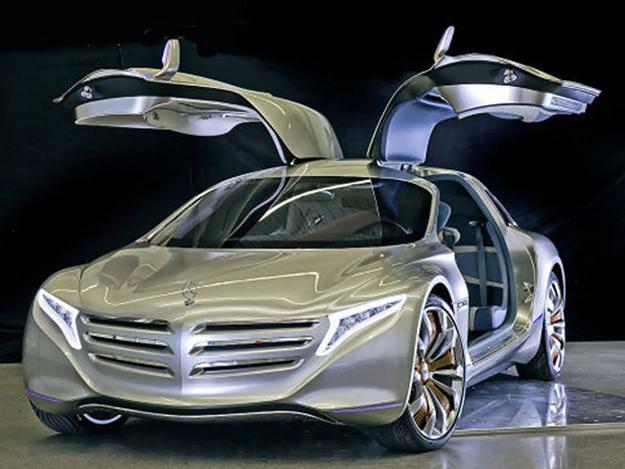 Mercedes-Benz has a concept vehicle dubbed the F125, which should wring more than 600 miles from one fill of hydrogen. It would use a lithium-sulphur battery and produce no emissions. Some experts argue that there is a completely different power source that could be used for cars that has not been invented yet. For example, some think cars could be powered by a small nuclear plant using less volatile thorium instead of uranium. The car might last for decades on just one fill. When you need to re-fuel, instead of returning to a gas station (since they would all be closed down anyway) you would just go back to the dealer and receive a new supply of thorium. One of the most interesting developments in recent years has to do with the “indestructible” material that’s already used for fishing rods, coffee mugs, and sunglasses: carbon fiber. 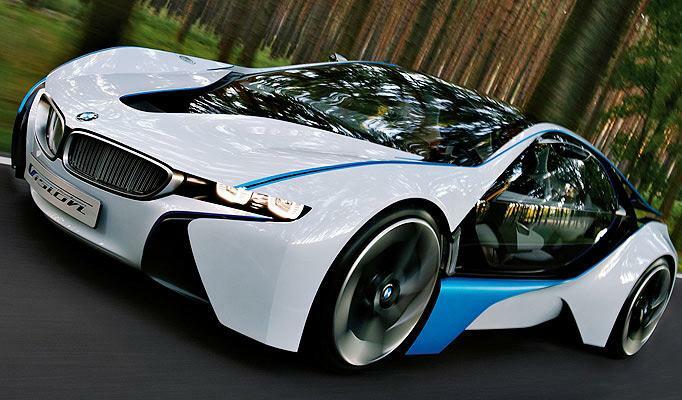 BMW has announced to not one but two concept cars, the i8 and the i3, that are both built from carbon-fiber materials. And they are serious about the production schedule: BMW has already built a carbon-fiber plant in Moses Lake, Washington that will be used to build a future production car for BMW. With the Mercedes F125 concept, the entire vehicle is made from carbon fiber and reinforced steel. Gullwing doors like those used on the Mercedes SLS AMG are all part of one shell structure. The idea is that these future cars would be virtually indestructible. Combined with safety features that can scan the roadway looking for potential hazards, pre-collision technologies that make the vehicle swerve, airbags housed in every conceivable corner of the car, and autonomous controls, accidents may become a distant memory. In fact, insurance companies might have to think how they provide collision insurance if the vehicle is smart enough to avoid an accident and will barely show any damage if there is one. None of the automakers we contacted were willing to discuss the actual research projects they are working on that could lead to the future cars. Most say they have plans in place only for the next decade or so, or at most the next 15 years. At the same time, there are some early signs that the future car won’t be such a radical departure from what we are driving today: no one is ready to say that cars will fly anytime soon. They will have much better AI, use alternative fuels, and avoid crashes.